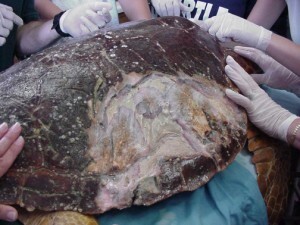 Hatchlings and young juvenile sea turtles have many natural threats. These threats exist both on land and at sea. Common sea turtle predators include fire ants, crabs, lizards, birds, dogs, raccoons, wild pigs, coyotes, dolphins, sharks and many species of carnivorous fish such as snapper, grouper and barracuda. Fire ants will feast on eggs and weak hatchlings. Ghost crabs lurk in the darkness, waiting to claw young turtles as they crawl down from the nest, across the beach to the sea. Raccoons wait nearby in the dunes, eating hatchlings. They will also dig up nests to devour freshly laid eggs. Once in the water, hatchlings need to swim with speed and caution to avoid predators, such as large fish. Birds also soar overhead, waiting to swoop down for an afternoon snack. 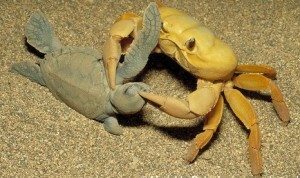 It is estimated that only 1 in 100,000 hatchlings survive until reproductive adulthood. For the few who make it to adulthood, adult sea turtles have few natural predators. Large sharks, such as the Tiger Shark are an example. Sharks often will only take a bite of a flipper or part of the shell. Killer Whales are also know to sometimes prey on Leatherback sea turtles. On land, adult female turtles that nest in the Caribbean and Central America may be attacked by a jaguar or wild boar, but this is rare. 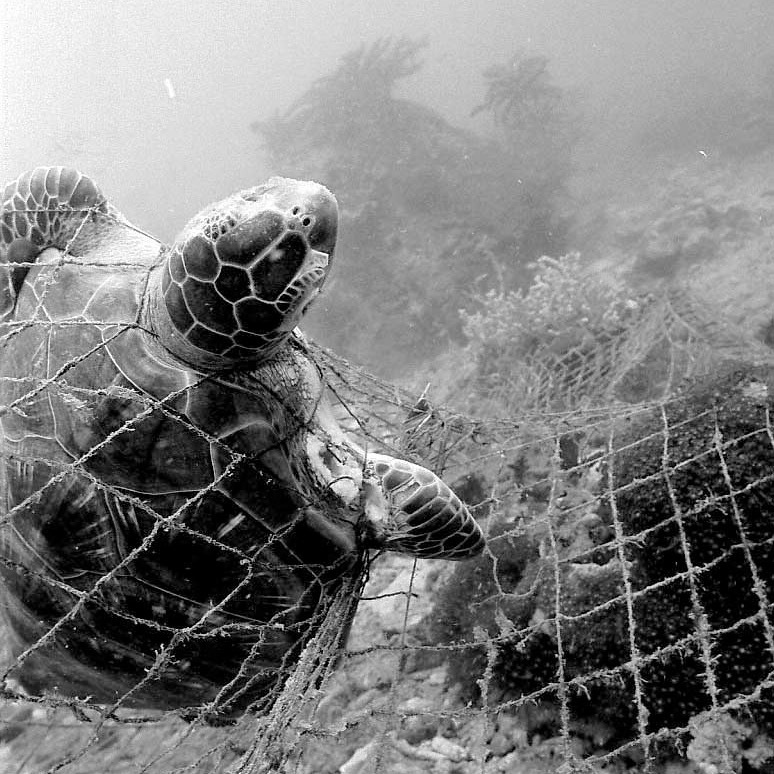 The greatest enemy of sea turtles is human activity. Over-harvesting, hunting, poaching eggs, habitat destruction and pollution are some of the many human actions affecting turtle populations worldwide. Want to help protect this incredible species? Learn ways to make a difference. One simple way to get started is by helping to reduce the risk of marine debris, which sea turtles and other marine life are exposed to. Pickup trash along waterways and the beach, reduce or eliminate your use of disposables, start a recycling program and more!